After a 4 week hitch in Alaska, my husband arrived home today for 2 weeks before he would have to go back. I wanted to be prepared to cook him a nice dinner, so I stopped by Hillcrest Artisan Meats to pick up some tagliatelle pasta and some Bonta Toscana sauce. My husband frequently complained of jar sauces tasting too sweet, so I found myself reading labels in grocery stores to find that they often contained a high amount of sugar. I started making my own tomato sauce from scratch based on Gwyneth Paltro's recipe, but I was curious to see about the Bonta Toscana sauce that just hit the shelf of H.A.M. You can buy the excellent garlic sauce at Hillcrest Artisan Meats in Little Rock. 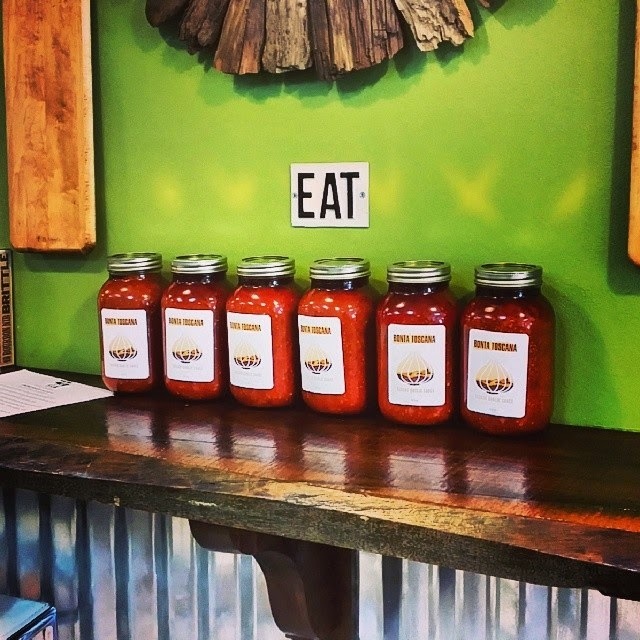 The sauce's reputation precedes itself because Amy's been making it for friends for quite some time and now she makes it in a commercial kitchen in downtown Little Rock. I have heard about it from many others around town, and Brandon himself of H.A.M assured me that I would love it. Indeed I did! SO glad I bought this sauce! I couldn't stop eating it off the spoon all by itself as I was simmering it. My husband also loved it. Thank you Amy! 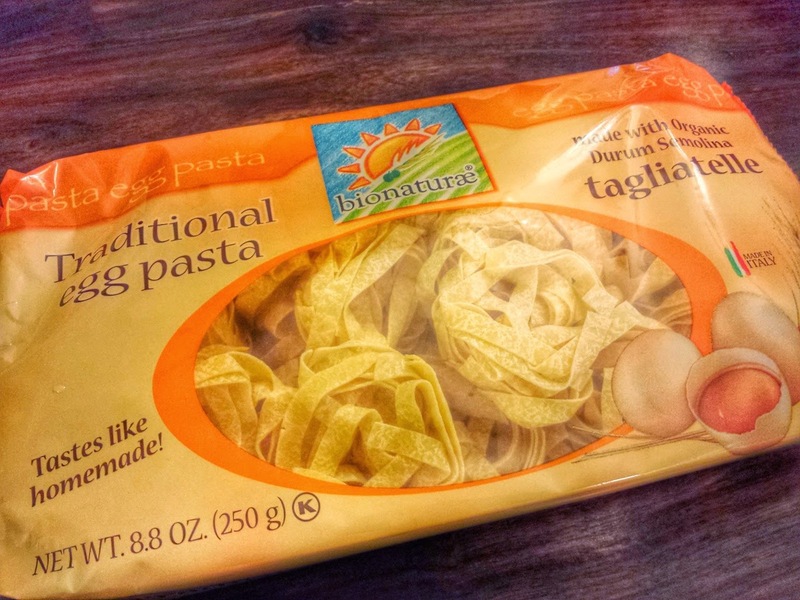 You can also find some great durum semolina tagliatelle at H.A.M. It cooks to al dente in 4 minutes. If you choose to cook it longer, the glycemic index increases. Roll small meatballs out of the Italian sausage. Place onto a parchment lined pan. Cook 15 - 20 minutes at 400 degrees. Simmer the sauce in a large saucepan. Cook the pasta per package instructions until al dente then drain. 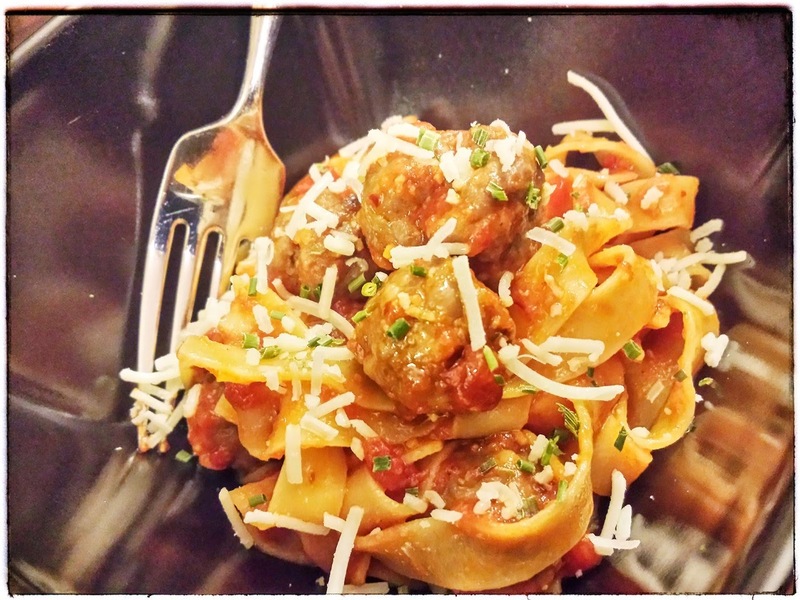 Combine the pasta with sauce, top with meatballs, and garnish with asiago & chives.